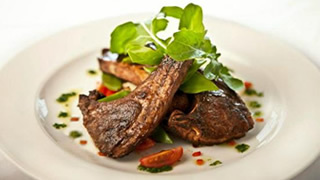 The Franschhoek Kitchen Restaurant is situated on the beautiful Holden Manz Estate outside Franschhoek. Over the past couple of years the Franschhoek Kitchen has developed into one of Franschhoek’ s culinary hotspots. Franschhoek Kitchen’s standards are based on the best international cuisine but our heart lies in the simplicity and pureness of each and every ingredient. High dining is for others, we prefer to see our guests enjoy a home-made dish inspired by the country we live in and the farm we work on. Our vineyard is heavily influenced by the seasons, so are we, so is our food – nature at its best, brought onto your plate – either in the dining room, amidst the vines in summer or in the form of a picnic along the Franschhoek River, but always with a glass of award-winning Holden Manz wines. Our executive chef enjoys nothing more than discovering the best fresh, local produce and using our farm grown vegetables and fruits from our local orchards in order to create spectacular combinations of tasty, delicious food that complements our wines.